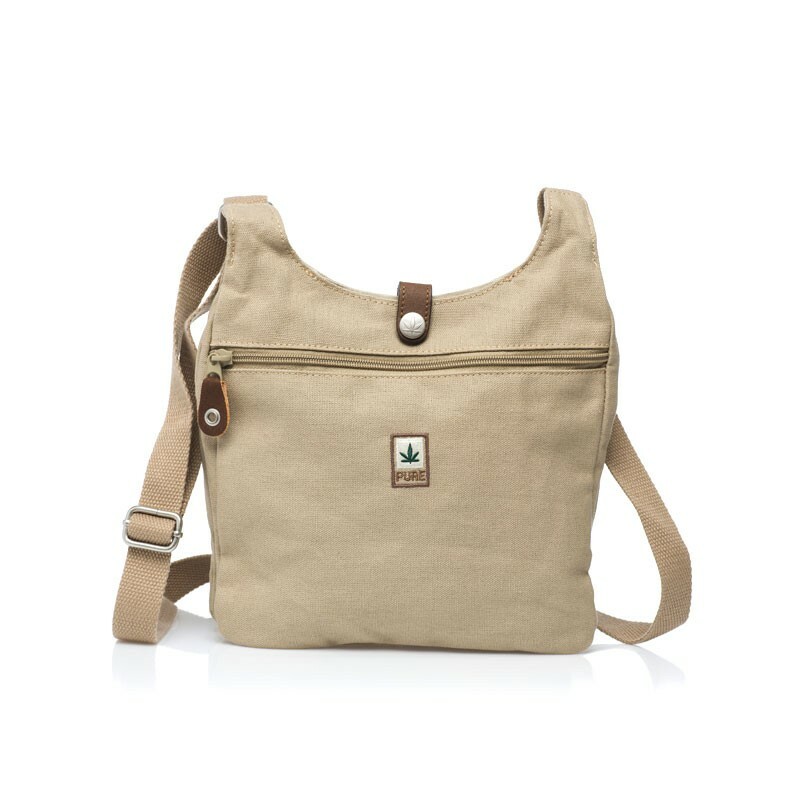 Small shoulder bag with zip and a reverse, slightly narrower section, which can be closed with a snap fastener.Classic Line (HF): 55% hemp / 45% organic cotton, leather inserts. Different colors: Dark Blue, Khaki, Black, Camel, Gray and Bordeaux. 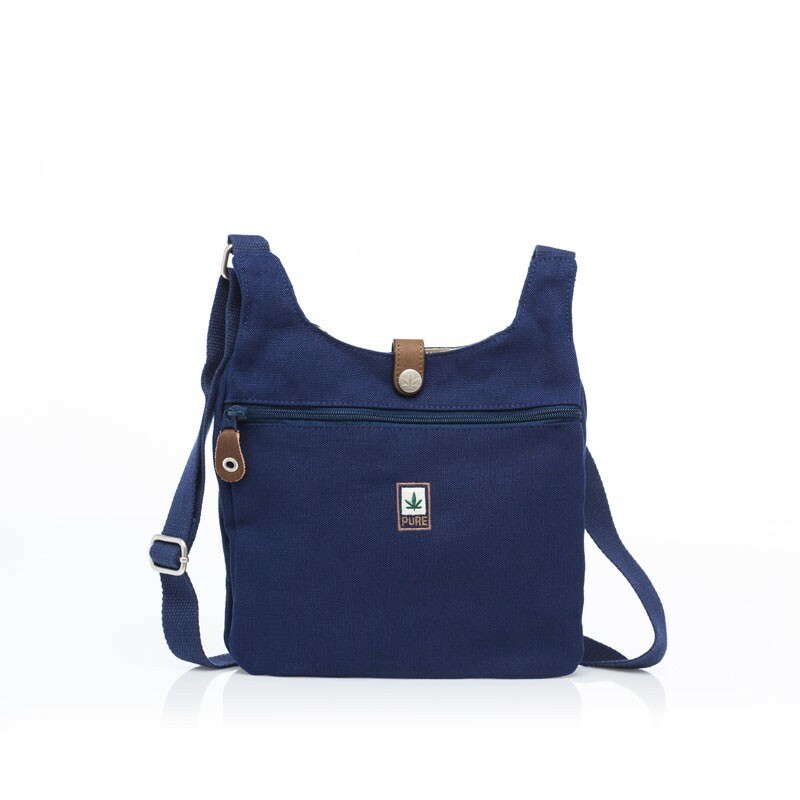 This bag has a broad front section with zip and a reverse, slightly narrower section, which can be closed with a snap fastener. 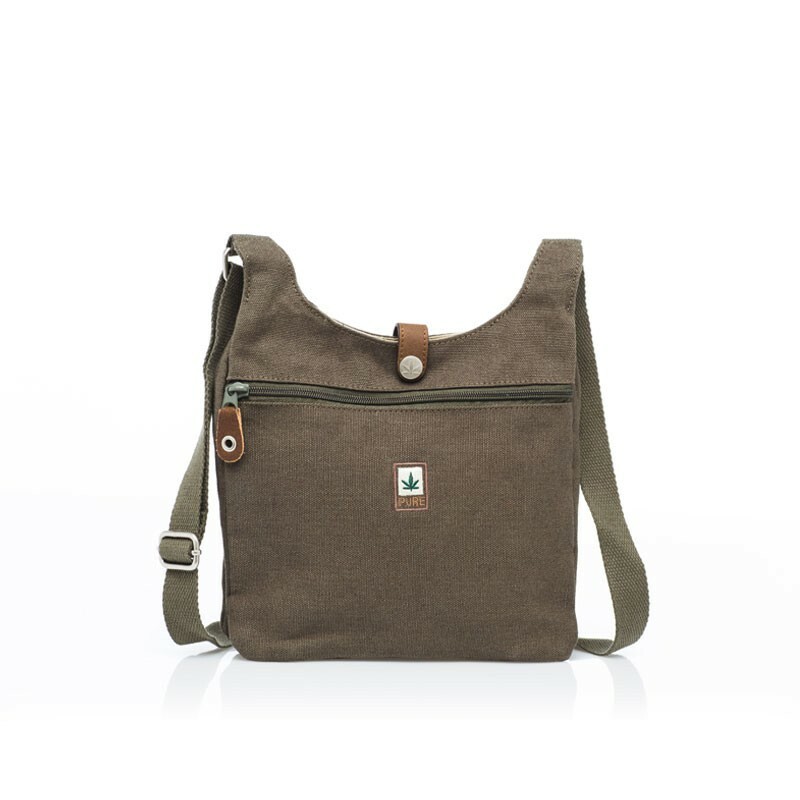 The front compartment has plenty of space for everyday items. 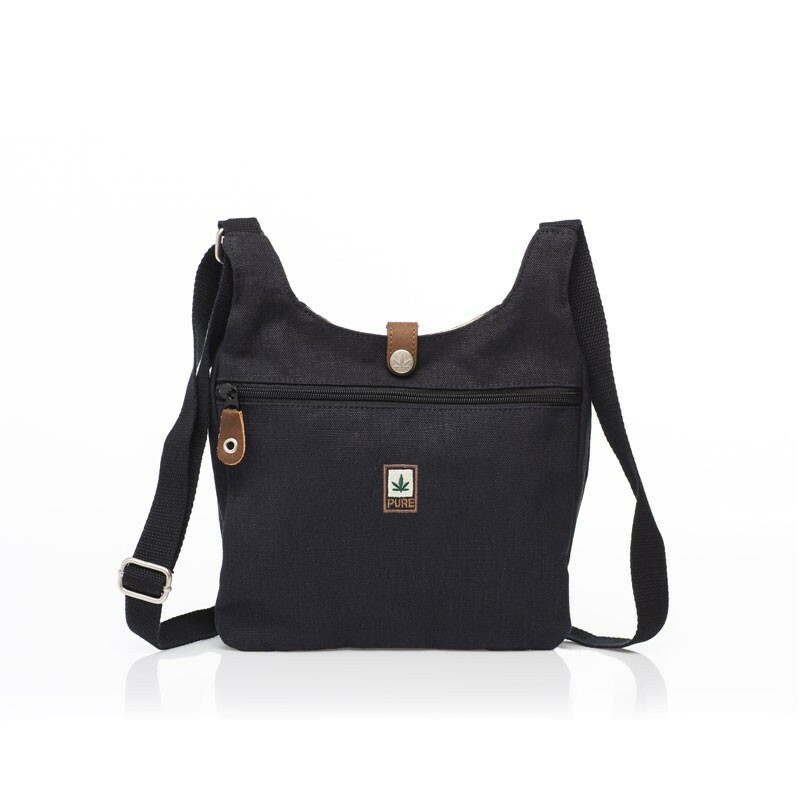 The rear compartment is great for keeping slim objects within reach. 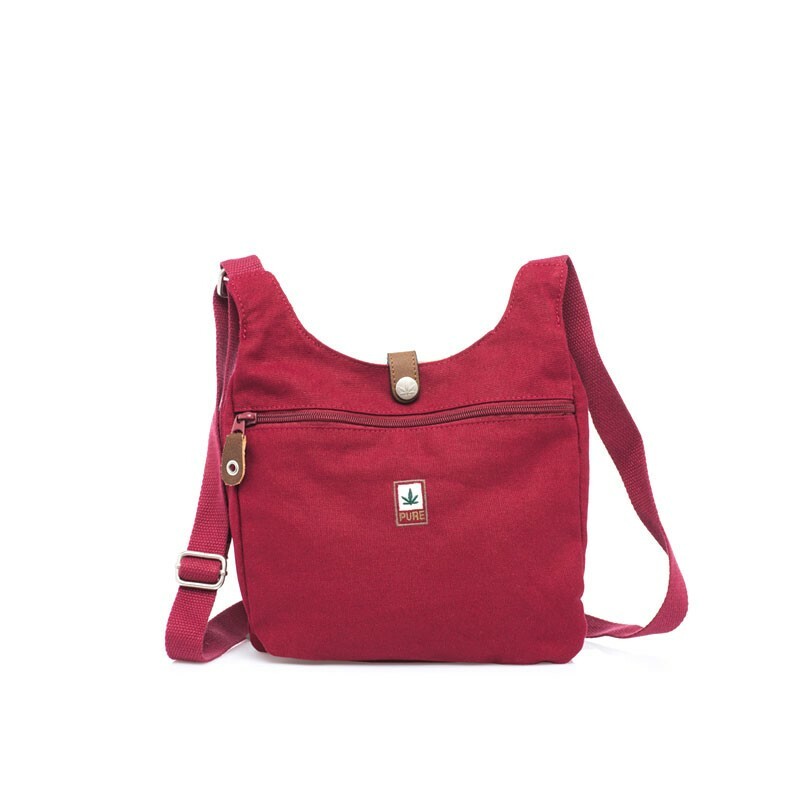 The middle, smaller compartment sports a leather loop with snap fastener, enabling fast access to little items. 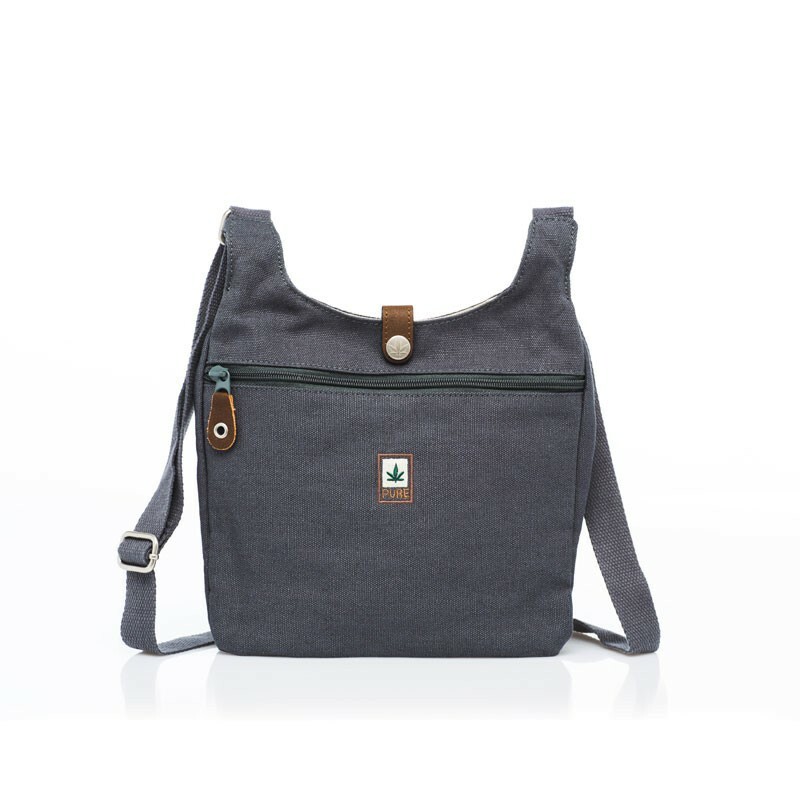 The shoulder strap is length-adjustable. 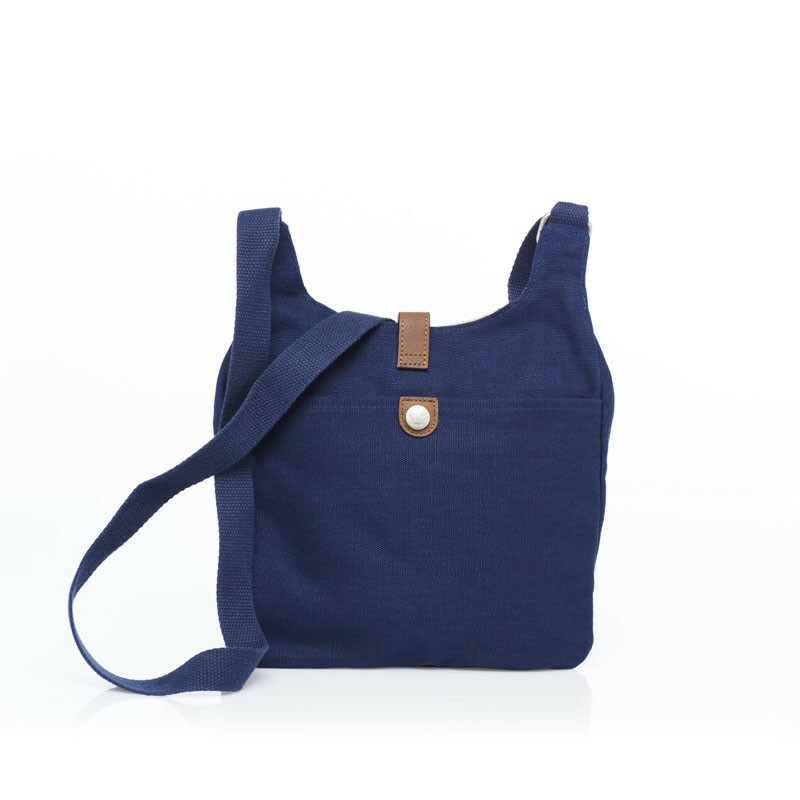 Worn casually over the shoulder, it completes any everyday outfit.